Violinist Hai Xin Wu joined the Detroit Symphony Orchestra violin section in July 1995 and was appointed Assistant Concertmaster of the DSO in June 2004. He previously performed throughout the United States, Europe and his native China. At the age of 12, Wu was selected as the violin soloist of the Chinese Young Artists' group to tour the former Yugoslavia. In May 1995, he made his Carnegie Hall debut in New York City, performing the Paganini Violin Concerto with the New York Concert Senior Orchestra. Wu was also featured as soloist with the Pro Arte Chamber Orchestra in its 25th Anniversary Gala Concert in Alice Tully Hall, Lincoln Center, with the Manhattan Chamber Orchestra on its recording and Midwest tour, with Bergen Philharmonic (New Jersey), among others. Wu has won many competitions including the Waldo Mayo Violin Competition, the Friends of Bergen Philharmonic Orchestra Competition and the Manhattan School of Music Concerto Competition, as well as a special prize in the 2002 Lipizer International Competition. He earned his Bachelor of Music degree from the Manhattan School of Music as a scholarship student of Ariana Bronne. In addition to performing with the DSO, Wu often plays with various chamber groups, such as the Detroit Chamber Winds and Strings and the Cuttime Players. From 1998-2001, he was a member of the Sonnet String Quartet, quartet -in-residence at the Oakland University. 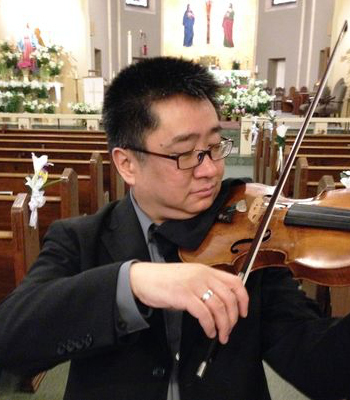 He is currently an adjunct faculty member in the Wayne State University Music Department and a violin and chamber music coach of the Detroit Civic Orchestra.